Not only am I impatient for the cooler days and colors of Autumn as depicted so beautifully in this photo, I am anxiously awaiting this week’s theme for the Weekly Photo Challenge. Enjoy while I impatiently patiently wait. 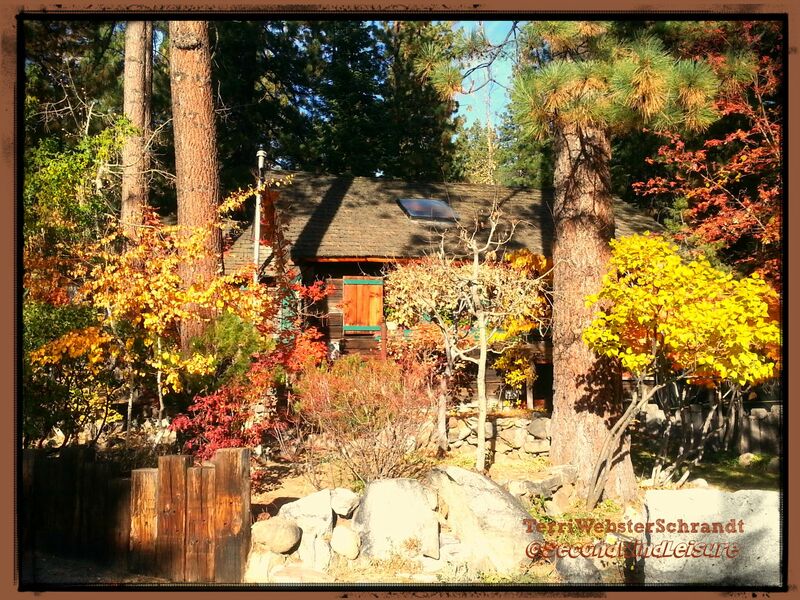 I wish that was MY cabin in the woods…this is near Incline Village in North Lake Tahoe! Terri, you and I had the same response to the late challenge: post another photo. 🙂 What a beautiful cabin and spot! Terri! What a pretty photo that captures autumn colors perfectly:) I’m sending you autumn breezes from a crisp New York morning! Have a great start to your day! Thank you ,Lia, I’ll take some 😁have a wonderful day, too! Great autumn photo. Love the colors and contrast. Wish that was my place! You’re impatiently waiting patiently. 🙂 Have fun with the photo challenge! I wish it was mine too! Wow that is a beautiful picture! Is that your place? Thank you, but no, I sure wish it was.